American writer and feminist who was active in the women's suffrage movement. She wrote “Battle Hymn of the Republic” (1862) and edited Woman's Journal (1870-1890). "Howe Julia Ward." YourDictionary, n.d. Web. 13 April 2019. 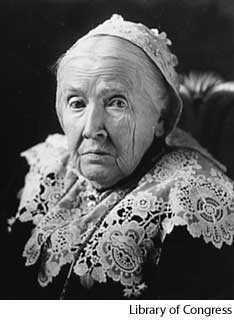 <https://www.yourdictionary.com/howe-julia-ward>.